After reading, Devoured, I was ready for another one of Emily Snow's books. 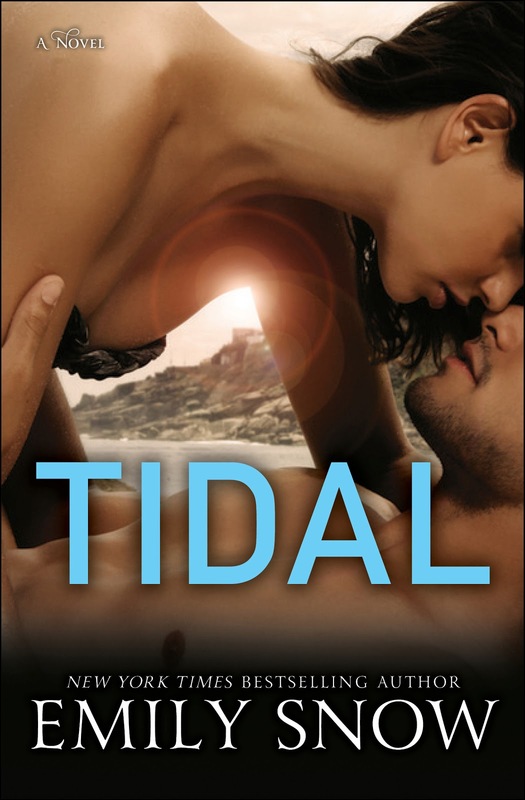 I was expecting that same sexual tension that lead to a build and release, but I have to say, Tidal, was a different book altogether. Don't get me wrong, there were still some steamy scenes, but this book was more focused on redemption and a more innocent type of love. The story follows Willow, a famous actress just coming out of rehab. Her parents have arranged for her to film a remake of an old surfing movie and her training starts two days after she gets out of rehab. She's overwhelmed, and to be honest, a little bit bitchy about her whole situation. That is when she meets her trainer, a hot Australian surfer named Cooper. He drives her crazy from the start...but not in a good way. He's getting under her skin, but within days it becomes clear that the sparks are more than annoyance. From there, the story unfolds as the film date draws closer....will Willow be able to stay clean? Will she fall for the steamy, sweet surfer boy? Will she do a good job in the movie and stay clear of her pill-popping Hollywood crew? I loved that Emily Snow has this book her repertoire because it reminded me that everyone loves a story of redemption. In our culture, we are obsessed with celebrities and their the ways in which they fall from grace. This book focuses on the little-known other side of that coin. Willow becomes a very likable character throughout this book and by the end, I was totally rooting for her success...and that is what I like in a character. I want to like them, despite themselves. The love story is sweet--sometimes quite steamy--and in the end, a nice, easy read that left me feeling good. I recommend this book for when you want to read a book that you can breeze through, get a bit worked up about and generally feel good about. I enjoy Emily Snow's writing very much and can't wait to see what she puts out next.